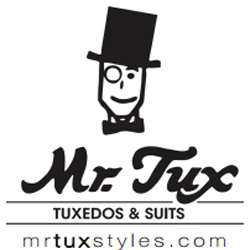 Mr. Tux, a family-owned business since 1977, is the longest-standing and most unique tuxedo/suit rental and sales operation in South Florida. Our two South Florida stores offer the largest in-house inventory. This means that you have the widest selection of styles and colors and can try on the tuxedo or suit style and size that you are going to wear to the big event; not many stores can make this claim. Our tuxedo fitters are trained to ensure that the tuxedo or suit you select fit just right.